Yoga workshop(s) (Scaravelli inspired yoga) give you the time and space to explore and understand how compliant you are in yoga postures and movement. We humans are neurological creatures, how well we move is dependent on our “body map”. If our movements are not compliant with our unique body map, long term complications can arise. . If we push too hard to achieve a asana or pose. Its vital for our long term health that our yoga practice does not do this.Under Erling’s experienced guidance you’ll get the chance to change your awareness of how you “do yoga”. Normally yoga practitioners and teachers rarely question the guru teaching lineage. 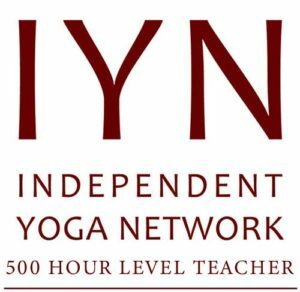 Scaravelli inspired yoga is less dogmatic in its approach to learning. In a yoga workshop my intention is to help you clarify your own practice. Each yoga workshop has a theme. The morning session covers the themes contents in theory and practice. We will learn how to implement these into a yoga practice in the afternoon sessions. The spine has a natural range of movement that we want to encourage. Learning about this above all will keep you mobile and healthy. Scaravelli inspired yoga is a very deep, effective and anatomical approach to yoga practice. It develops ways to move intuitively. If our yoga practice can undo tension, refine movement and restore a natural suppleness and vitality to the spine, we will simply move better. By design our movements should be natural and easy. Life can complicate this..Finding this balance is yoga. Vanda Scaravelli understood that natural balance and how to find it in her yoga. From her training in the anatomical precision of Iyengar Yoga and the emphasis on breath and ease in Desikachar’s Viniyoga, Vanda developed her own distinctive way of working with breath and gravity to free the spine. She distilled movement to a few essential principles: the surrender of the lower part of the body to gravity gives back a lightness that liberates the upper part of the body. She inspired a generation of yoga teachers to explore and develop these principals which continues to this day. Why I teach Scaravelli inspired yoga!